Cannabinoid receptors are concentrated in certain areas of the brain associated with thinking, memory, pleasure, coordination and time perception. THC attaches to these receptors and activates them and affects a person’s memory, pleasure, movements, thinking, concentration, coordination, and sensory and time perception, according to NIDA. THC is one of many compounds found in the resin secreted by glands of the marijuana plant. More of these glands are found around the reproductive organs of the plant than on any other area of the plant. Other compounds unique to marijuana, called cannabinoids, are present in this resin. 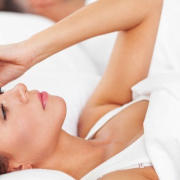 One cannabinoid, CBD is nonpsychoactive, according to the National Center for Biotechnology Information, and actually blocks the high associated with THC. 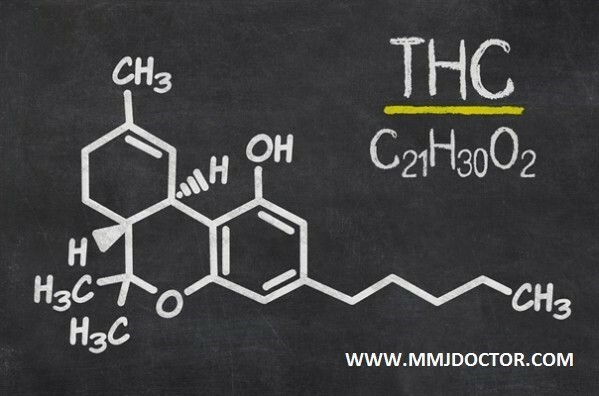 THC stimulates cells in the brain to release dopamine, creating euphoria, according to NIDA. It also interferes with how information is processed in the hippocampus, which is part of the brain responsible for forming new memories. 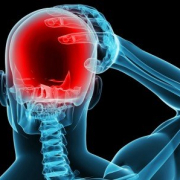 THC can induce hallucinations, change thinking and cause delusions. On average, the effects last about two hours, and kick in 10 to 30 minutes after ingestion. Psychomotor impairment may continue after the perceived high has stopped, however. 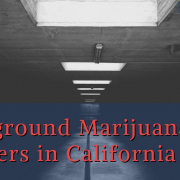 “In some cases, reported side effects of THC include elation, anxiety, tachycardia, short-term memory recall issues, sedation, relaxation, pain-relief and many more,” said A.J. Fabrizio, a marijuana chemistry expert at Terra Tech Corp, a California agricultural company focused on local farming and medical cannabis. However, he said, a study in the British Journal of Pharmacology found that other types of cannabinoids, as well as terpenes (compounds that produce flavor and fragrance in plants), can modulate and reduce negative effects. The effects of marijuana make it a popular drug. In fact, it is considered one of the most commonly used illicit drugs in the world. But these effects also concern mental health advocates. THC can trigger a relapse in schizophrenic symptoms, according to NIDA. Another possible risk of consuming THC comes in the form of impaired motor skills. Marijuana may impair driving or similar tasks for approximately three hours after consumption and it is the second-most common psychoactive substance found in drivers, after alcohol, reports the National Highway Traffic Safety Administration. People taking medical marijuana are instructed not to drive until it has been established that they can tolerate it and conduct motor tasks successfully. NIDA reports that rats exposed to THC before birth, soon after birth or during adolescence have shown problems with specific learning and memory tasks later in life. According to the National Cancer Institute, marijuana has been used for medicinal purposes for more than 3,000 years. In many areas of the United States, the use of medicinal marijuana is legal. In several states, recreational use is also legal. THC can be extracted from marijuana, or synthesized, as is the case for the FDA-approved drug dronabinol. Dronabinol is used to treat or prevent the nausea and vomiting associated with cancer medicines and to increase the appetites of people with AIDS, according to the U.S. National Library of Medicine. It is a light yellow resinous oil. Edibles, foods containing THC, have become a large problem in states that have legalized pot because of overdosing. Raskin also explained that edibles are extremely high in potency, and when ingested in the gastrointestinal tract, the drug can last longer and with greater intensity. “The effect from inhaling THC will last 45-minutes to a few hours, but edibles can last for six to eight hours and are more likely to lead to a trip to the ER with an overdose,” he said. Colorado legislators passed a law in the spring of 2014 to limit the amount of THC to only 3.53 ounces (100 milligrams) in edible marijuana products, according to USA Today. Some strains of cannabis can have as little as 0.3 percent THC by weight. In other strains, THC makes up 20 percent of the weight in a sample. The National Highway Traffic Safety Administration reports that the average THC concentration in marijuana is 1 to 5 percent; in hashish, it is 5 to 15 percent, and in hashish oil, it averages 20 percent. 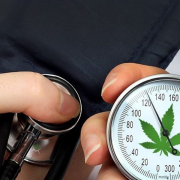 THC in recreational doses of marijuana is highly variable and the lower the THC content in the marijuana, the more the user must consume to produce the desired effects. 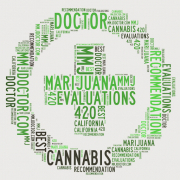 MMJ DOCTOR: If you want to try medical marijuana as a treatment option Consult with a Licensed Medical Marijuana Doctors first! Tho schedule your appointment online click her. 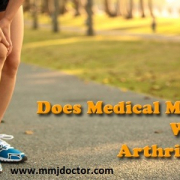 CANNABIS AND ARTHRITIS - DOES IT REALLY WORK? 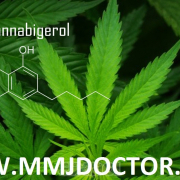 MARIJUANA CANNABIGEROL (CBG) - BETTER THAN CBD? 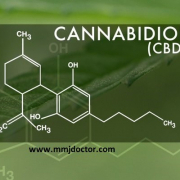 MARIJUANA CANNABIGEROL (CBG) – BETTER THAN CBD?